By: p e t a . About These dunes are an hour or so away from my in-laws beach house in South Gippsland. There was not a soul around last Sunday, we spend a few hours enjoying the sun, swimming and taking some pics of course! Hope you enjoy this one. What a beautiful spot....Happy New Year to you. Simpely stunning in it's detail and compostion,Stunning!!! 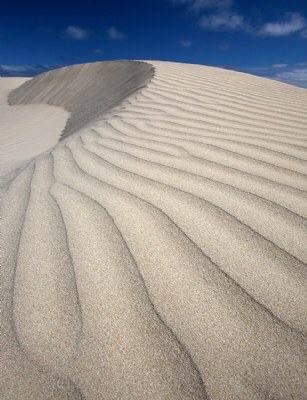 Amazing scene, the angle is so great to follow such wonderful dune shape and perspective. well seen and composed work. Thanks Peter, yes the fires didnt get down as far as Inverloch thankfully. A beautiful composition of a beautiful scene, Peta. The foreground is so wonderful, it would be a wonderful photograph in its own right. Very well done! and congratulations on the well-deserved awards. Kudos to you for taking such care in producing such a wonderful photo. The way you've framed it could almost pass as a giant sea shell. Gippsland is a wonderful area, hope you're in-laws got through the devastating fires this Summer without any losses. It's an excellent photo, with that foreground detail and the little bit top left around the dune, so you look there. Sand shots are amazing, this is no exception. Well done. Thank you Fadel! That has really been a focus for me actually - afterall variety keeps life interesting dont you think?! What an amazing shot Peta! I really like how you manage to produce fantastic results in whatever kind of work you tackle (portraits, action, landscapes...), awards very well deserved indeed! Oh wow! I'm speechless! simply saying, Amazing! Just to make sure you got my rating! this is excellent Peta! Superb exposure, lovely lines and texture and great contrast with that blue sky. Congrats on the double award!! 7/7 - Regards. well, wow! Love the lines and forms. Congrats on the well deserved awards! Man, this is AWESOME, Peta! another great capture for you my friend, wonderful details. great job. Really nice graphism.Great lines. It looks like Saara! Hi Peta! I have to join the chorus ... this is a real stunner! Great shapes, textures, and that divine blue sky ... congrats on the double awards, so well deserved!!! love your site too, great pics! colours clarity comp are all perfect. i could only dream of getting a snap this good. Fantastic, thanks so much Ina! Peta, congratulations on Photographer of the Day award, very well deserved and also for Best in Project award for this image. Peta, I knew when I saw this is was a winner! Also, went to your website, great stuff! Congrats on your double award Peta!! Breathtakingly fabulous image. Love everything about it! Congratulations. Beautifully composed, you have a great eye! One of my favorites from you. Those are some incredible photo's of the dunes, Congrats on your award!! Hi Peta, very nice to share the front page with you! Stunning, Peta. Perfect comp and colours. Congrats on your BIP and POD. Well deserved. Cheers, Ann. A comment from Marc Adamus is good enough for me. Just about sums it up, good colors and nice and simple. One for that new website, which is very well done and tasteful. I like the logotype as well. Yes my eyes can look at the infinite and my mind is free. Beautiful, in my fav.. I have seen a splendid website ...! what a spectaculare view of this dune. excellent faming and depth. Perspective is awsome. Good on you and your 5D camera. WOW! Like an abstract painting! Wonderful simple and great! Congrats Peta! Fantastic one!!! The kind of shot that i would love to take by myself!!!! Perfect white point, great composition, impressive patterns, wonderfull details and infinite blue sky!!! I saw this big one in your website and i love it from the first look. Hello Peta! This is really beautiful! I love the texture of the sand and the way You have lead Us into the photo!A wonderful composition!Just the right amount of pretty blue sky! An amazing photograph!! I will try it, thank you Marc! Great to hear from you. amazing peta, love the cusp, title is a challenge, free'd mine a while back and can't catch it......thank god, can bring you down that mind stuff, this shot has form and grace, quite a peaceful thing to behold, all those curves, is the sand really that color, that hour 'spose it was, an hour later another color I expect.....so these are presently an hour away from your in laws, when might they arrive do you think?.....sorry I must get something useful to do! fine work. cheers, david. This shot is spectacular!!!! The lines lead your eye all the way through the shot and the sky is perfect!!! Definitely one of my 4 favorites from You!!! Awesome lines and textures. This would work very well as a B&W also. Thank you, very happy you approve of this one! Wow, amazing detail and contrast, love it !! Great lines like a stairway made of sand. Good perspective and fitting title. Excellent composition, beautiful pattern and tones, very well done! !